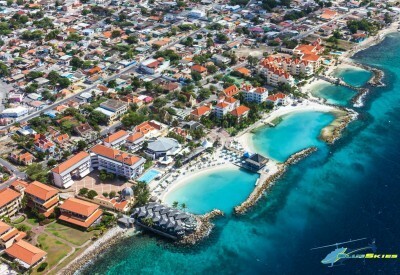 If you’re in Curacao, you might notice a blue helicopter that seems to be everywhere. This is the Blue Skies helicopter – a company where you can also rent cars – which allows you to see the island from a very special perspective: the sky. There are several tours, ranging from ten minutes to an hour and a half long, but one thing is certain: it is a sight to behold and an unforgettable experience.